In 2016, the drone market changed. Drones were already big business and had been for years. In just the past decade they had changed from being specialized tools used mostly by the military to consumer-affordable products used for everything from photography to construction to recreation. How could a new drone set itself apart in such a large market? And was there anywhere for high-end drones to go from a technology standpoint? 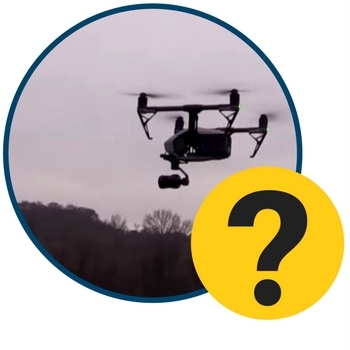 The answer to these questions was obstacle avoidance, a new technology that’s quickly becoming the standard that separates a good drone from a great one. We’ve all felt that flash of fear when we see a quadcopter – not exactly the cheapest of toys – fly too close to a tree or a building and realize we can’t pull up in time. But much like self-driving cars are becoming the wave of the future, drones that can correct course and avoid obstacles are quickly outselling their competitors. It can be hard to navigate this brave new world and find out which obstacle avoidance drones are right for you. That’s where we come in. Here at Dronethusiast, we’ve flown them all, and we put together this list of the top 5 drones with collision avoidance systems so that you don’t have to spend thousands of dollars trying them all out yourself. Here’s five of the best obstacle avoidance drones for sale on the market today. Obviously the main factor that influenced a drone’s placement on the list was the quality of its collision avoidance system, but we also looked at other factors such as price, use cases, and feature set. We’ve flown each of these drones ourselves to make sure you find the obstacle avoidance drone that’s right for you. 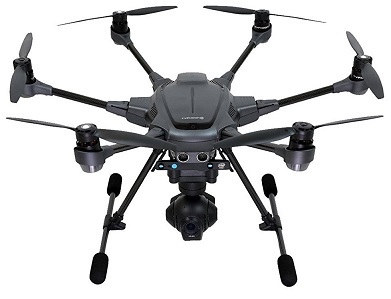 Click Here To Read Reviews & Shop For the Yuneec Typhoon H! 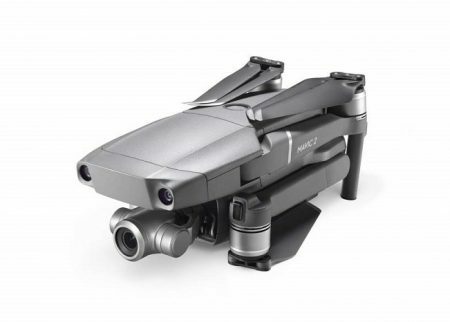 Some readers will be shocked that we included the Typhoon H above the DJI drones, but looking purely from a standpoint of obstacle collision, we believe Yuneec’s contender stands head and shoulders above the rest. The Typhoon H uses two types of sensors: sonic and infrared, which means that it gets a much more accurate picture of the environment than even the Phantom series (which notoriously has issues with tree branches.) In addition, if the Typhoon does crash, it has propeller redundancy. This means that if one rotor goes down, the vehicle can still use the other five to land. So if your number one concern before buying a drone is how well it avoids crashes, the Yuneec Typhoon H is our number 1 choice. Best high-tech obstacle avoidance system. Propeller redundancy means that the drone won’t crash even if one rotor gets broken. GPS stabilized flight control, 5 Rotor Fail-Safe, 8 smart flight modes, and 1-touch takeoff and landing mean that the drone can be flown even by pilots with no prior experience. The drone is large and inconvenient with no good carrying case options. Click Here To Read Reviews & Shop For the DJI Inspire 2! What can be said about the DJI Inspire 2 that hasn’t been said a million times already? 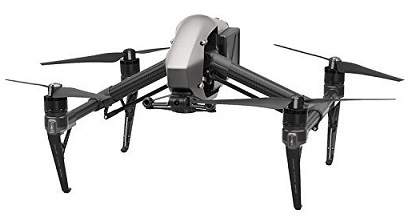 This three-thousand-dollar, thirty-pound aluminum giant is quite simply the best camera drone around, bar none. It just can’t be beat for video quality, professional compression, image processing, etc. Plus, it comes with a whole host of features geared towards professional videographers, like dual operator control. The collision avoidance system is based on two stereo vision sensors, two ultrasonic sensors, and two infrared sensors, allowing the Inspire 2 to scan for obstacles up to 30 feet ahead. However, it does not maintain a constant map of its environment like the Typhoon H, nor does it come with a “Follow Me” mode. Despite this, it’s an incredible collision avoidance drone well worth your time if you’ve got a few thousand dollars burning a hole in your pocket. Best videography drone of all time. The drone is not designed for recreational or amateur use – this is exclusively a professional drone. Click Here To Read Reviews & Shop For the Walkera VITUS! A portable, foldable drone that also has high-tech collision avoidance might sound like an impossible dream, but that’s Walkera for you – they’re known for cramming tons of features into relatively small packages. The VITUS takes 4K video and 12 megapixel stills while still being easy to transport and fly. Plus, a wide range of stability features and smart design means the whole thing handles like a dream. The VITUS’ obstacle avoidance system is based on 3 precision time-of-flight sensors and an infrared sensor on the bottom which is used for positioning and hovering. The ToF sensors offer an extremely high degree of precision, but can only detect meters up to 5 meters away in three directions. That’s enough for most projects, but pilots who plan to fly in more dangerous areas might want to upgrade to the Typhoon or the Inspire 2. No parts redundancies mean that fatal crashes are just that – fatal. Only detects obstacles in three directions at a distance of up to 5 meters. The DJI Mavic 2, released towards the end of 2018, is DJI’s newest drone and also their most advanced. The industry leader in obstacle avoidance technology has provided yet another brilliant collision avoidance quadcopter that has by far the most advanced technology on the market. It may still have a few problems with the ever-present tree branch problem, but it can handle any other situation with ease. Plus, it has an excellent camera, a vast feature set, and a portable frame that can fold down small enough to fit in your pocket. Click Here To Read Reviews & Shop For the Tenergy TDR Phoenix! Is $260 still too much? The Tenergy TDR Phoenix is a good quality obstacle avoidance drone that somehow costs an impossible $96! As you’d expect at such a low price, the camera isn’t in high definition and the app used to take pictures is infamously finicky. Frankly, the Phoenix is a toy. But it’s a really good toy, complete with bright LEDs, 360 degree flip stunt capability, and a modular design that lets you customize the look of the drone and perform easy maintenance. And, of course, it has an obstacle avoidance system based on infrared sensors that works much, much better than you would expect. If you’re looking for a fun way to get into obstacle avoidance drones, or maybe you’re looking for a gift for a younger family member, the Tenergy TDR Phoenix is a perfect choice. A drone is any aerial vehicle that is flown by remote control instead of an onboard pilot. This remote control is usually a radio transmitter or mobile device. Many drones are also quadcopters, which means that they are kept aloft by four propellers – two that move clockwise, two that move counterclockwise. Why would I want an obstacle avoidance drone? Simple: nobody wants their drone to crash. Because drones are so lightweight and are often used in high-traffic areas (like monitoring construction sites) crashes are common. And if your drone gets permanently damaged, that’s thousands of dollars down the drain. This is why several high-end drones have started including collision avoidance systems. These make the vehicle “smart” enough to swerve out of the way of buildings, trees, other people, etc. without any input from the user. How does drone collision avoidance work? There’s different types of drone obstacle avoidance technology. Usually it starts when several sensors on the drone take in data from their surroundings and create a 3D map of the environment. An obstacle avoidance algorithm then categorizes nearby environmental features as obstacles and calculates how the drone should avoid these obstacles. The specifics of the technology get pretty complicated, but the main thing to understand is that an obstacle avoidance system needs good sensors AND a smart algorithm to work properly. What kind of sensors are used in drone obstacle avoidance? It depends on the drone. Some of the most common sensor techniques involve stereo vision, ultrasonic frequencies, infrared, or time-of-flight. Stereo vision sensors calculate depth from two different cameras at different viewpoints – just like our human eyes do. Ultrasonic sensors send out a high-frequency sound pulse and use echolocation. Infrared sensors follow a similar principle with light instead of sound. And time-of-flight sensors combine multiple cameras and techniques to produce pixel-perfect maps. What should I look for when buying an obstacle avoidance drone? The type of sensor used doesn’t matter that much, and there’s no way to know how exactly a particular manufacturer’s algorithm works. So rather than looking at specific specs, the best way to know how good a drone’s obstacle avoidance system is. Or better yet, let us do it for you! Thanks for reading our ultimate guide to the best obstacle avoidance drones. 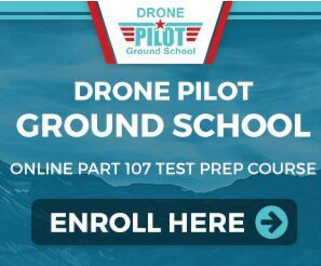 Hopefully you’ve not only learned a little about how drone collision avoidance works, but you’ve also been able to make a good selection that suits your needs. If you’ve got any questions or have another drone you think should be on the list, please let us know in the comments!